A fully functional network is the heart of any business. And yet installing and managing it is highly complex. The shortage of skilled manpower makes things worse, as qualified network specialists are hard to find. At the same time, the conventional manual configuration is a time-consuming, error-prone, and thus very costly task. Wouldn’t it be great if there were an intelligent, higher instance that automates and controls the entire network from a central location? A kind of hyper-intelligence that networks all of the key components, dynamically responds to any new requirements, and which is also secure. What sounds like a future scenario is here today. Welcome to the LANCOM Management Cloud! SD-WLAN, SD-SECURITY) drastically simplifies the provision of integrated networks and makes the manual configuration of individual devices a thing of the past. The system adapts dynamically to your requirements, it is future-proof, and offers maximum security. 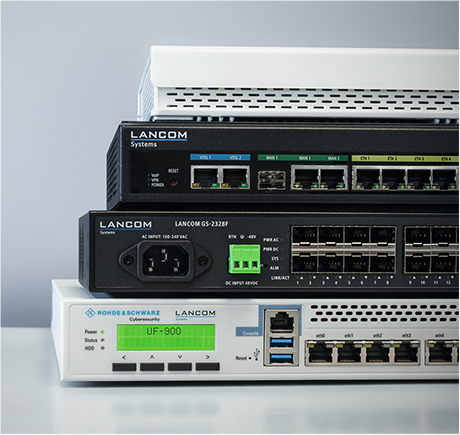 LANCOM has made the manual configuration of individual devices a thing of the past – software-defined technology (SD-WAN, SD-LAN, SD-WLAN, SD-SECURITY) now delivers fully automated network orchestration. All the administrator has to do is specify the framework conditions for the network’s design and security policies. Auto-configuration and zero-touch deployment implement an automated rollout with maximum security. Complex network configurations, previously the cause of intense manual effort by certified IT professionals, is now reduced to just a few minutes and a few clicks! Learn from our experts everything you need to know about how to use the LANCOM Management Cloud in a safe and efficient way. Our free live webinars show you, how to implement SD-WAN, SD-LAN, SD-WLAN, and SD-SECURITY) in your network and how your company can benefit. You want to start right away? Find an overview of frequently asked questions FAQ section. The LANCOM Management Cloud is a holistic system that controls the entire network infrastructure. This is only possible through a perfectly compatible product portfolio: All gateways, all routers, all switches, and all access points are quickly and easily transferred to the Cloud-based network orchestration for a holistic SD-WAN, SD-LAN, SD-WLAN, and SD-SECURITY. It takes just a few clicks to integrate your devices into the LANCOM Management Cloud – be they new devices or existing infrastructures. You decide whether to switch your entire network over to innovative SD-WAN, SD-LAN, SD-WLAN, and SD-SECURITY, or whether to take it step by step: A gradual transition of your different locations is easy to implement – so take a closer look at the full power of hyper integration. The unique combination of state-of-the-art technology and the LANCOM premium portfolio encompasses all segments of the network infrastructure – the WAN, the LAN, the WLAN, and the security policies active on the network. 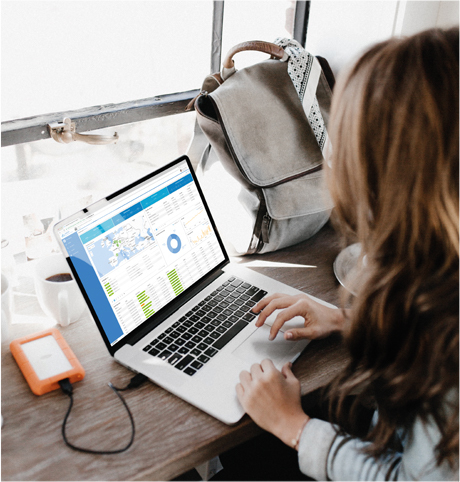 These help you to create highly integrated, company-wide network scenarios at the click of a mouse: Interconnect your locations, home offices, and field staff, for instance. Define Wi-Fi networks for internal user groups or hotspots for guests. You can ensure maximum network security, for example through the central management of device passwords, content and application filtering, and protection from malware and viruses*. All of this is centrally designed, rolled out, and monitored with just a few clicks – a web browser is all you need. Furthermore, you benefit from around-the-clock monitoring, diagnosis, and troubleshooting. You are constantly aware of any events or errors on the network, which helps with the immediate detection and rectification of problem sources. This saves valuable time and eliminates the need for manual reactive checks on network performance – and ensures that your data is fully protected at all times. Would you like to get a first glance at the LANCOM Management Cloud? Then request a monitoring access to our demo project. Curios, what the LANCOM Management cloud has to offer for you? Then have a look on our release notes and highlight features! 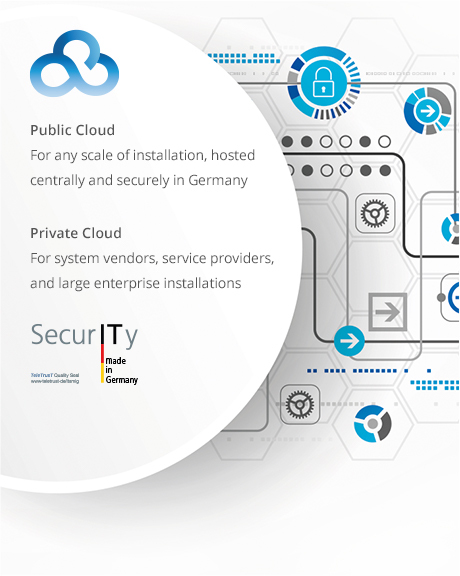 You decide: Either you use the central and securely hosted Public Cloud based in Germany, which offers maximum scalability and data security for installations of all sizes. Or you host the system yourself on the LMC Private Appliance. This is the ideal solution for observing corporate security policies that requires the operation of a private cloud without missing out on the features and convenience of the LANCOM Management Cloud. It allows companies to operate the LANCOM Management Cloud at their own data center or on-premises, without sharing an infrastructure with other client organizations. The solution package consists of a powerful hardware appliance, an installation service, and software maintenance by LANCOM Systems. IT networks are often implemented using the conventional, static CAPEX model, i.e. the system vendor is involved in the planning of the network and the necessary hardware is then procured and put into operation. Later changes or upgrades are laborious and require the on-site presence of network specialists. In contrast to this static approach, the LANCOM Management Cloud not only makes your network agile, future-proof and easily expandable: it also provides license models that are billed as operating costs (OPEX) and that flexibly adapt to your requirements. 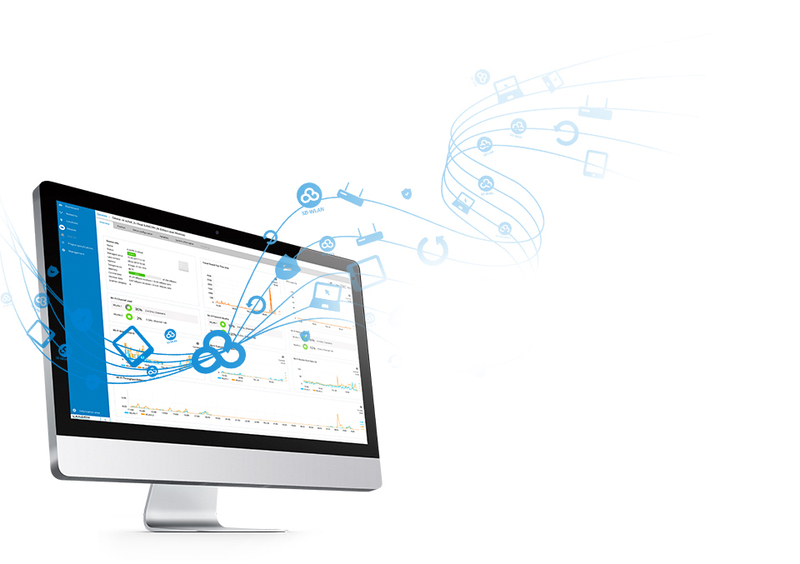 Learn more about our software-defined solutions and get inspired by Hyper Integration for your WAN, LAN, WLAN, and security policies.